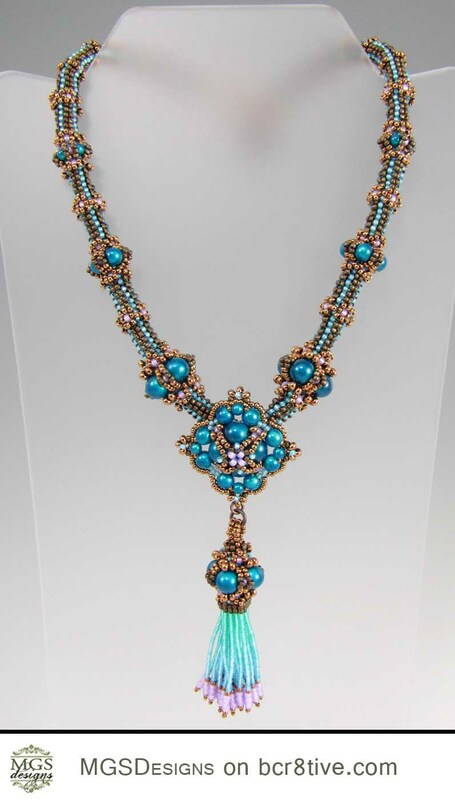 Melissa Grakowsky Shippee is an exceptionally talented bead artist and published beadwork designer and also an instructor. She teaches bead workshops internationally, contributes regularly to books and magazines, and has won numerous awards for her work. Growing up in Eastern Connecticut, she received a BFA in Art and a BS in Physics from the University of Connecticut. 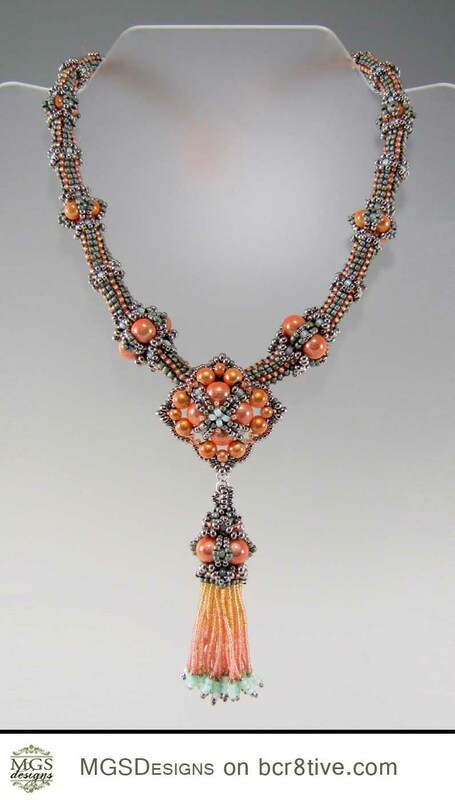 Her publications and contributions include a full-length instructional beading book called I Can Herringbone, articles in Beadwork Magazine, Bead & Button Magazine, Bead Star Magazine, and Perlen Poesie. 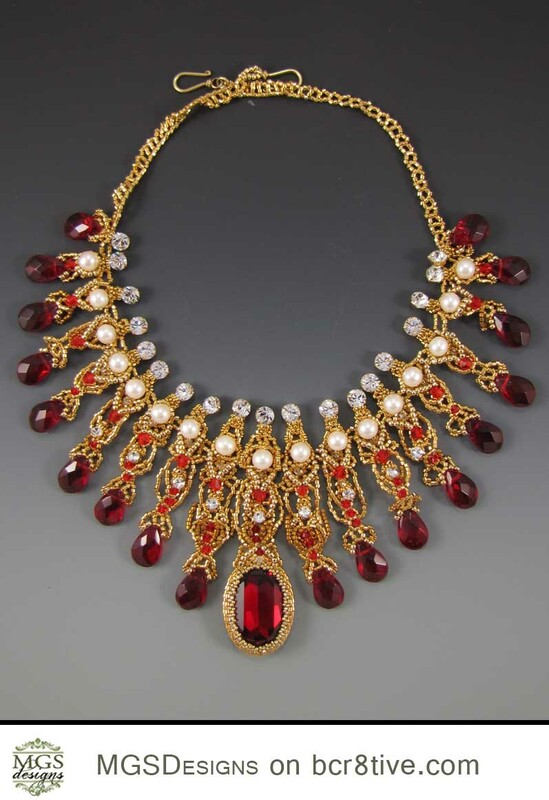 Melissa’s awards include gold and silver grand prizes and a People’s Choice Award in Fire Mountain Gems contests as well as an award in Bead & Button’s annual Bead Dreams Competition. Melissa doesn’t think of what she creates as jewelry. 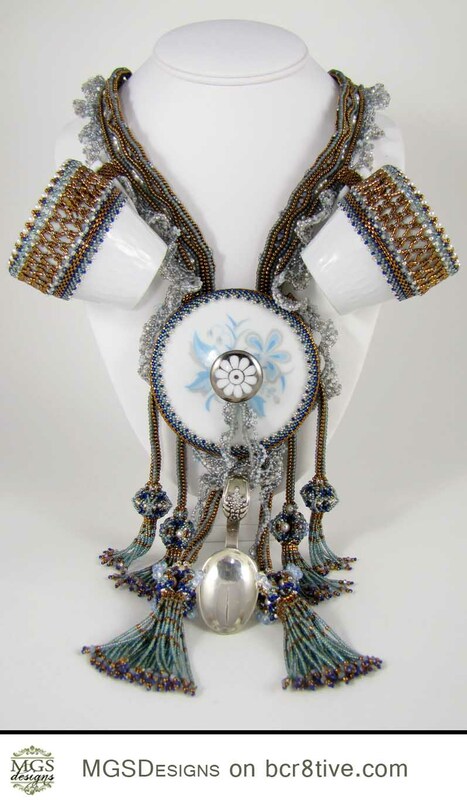 Instead, beads and thread are just a creative medium with which she explores the possibilities of design, form, color, shape and movement. Her work is inspired by the colors and shapes of nature and she incorporates mathematical principles in her designs. 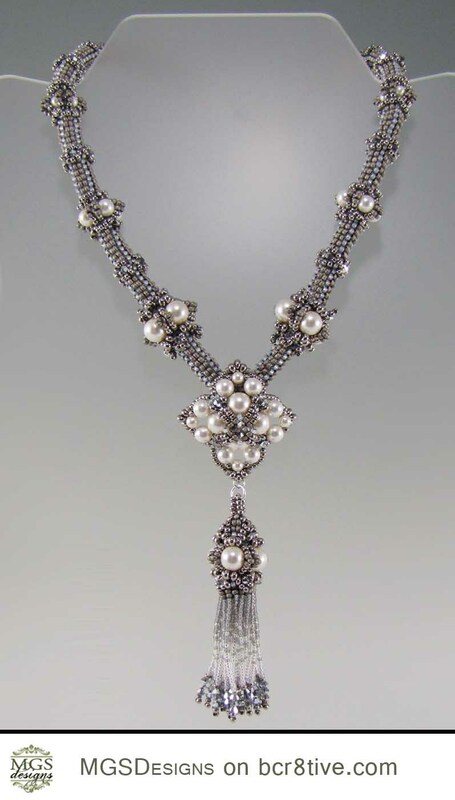 Each piece is a gorgeous manifestation of her expert skill and love for the craft of beading. I enjoy studying her work and I’m awed by the patience and attention to detail that she pays to her craft. Her work is top notch, creative and inspiring. 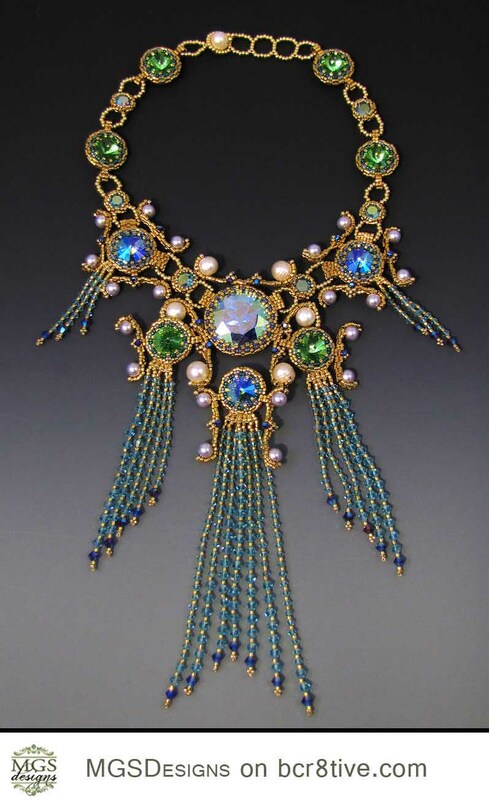 4 Responses to "Exceptional Bead Artistry by Melissa Grakowsky Shippee"
Will you be coming to Hawaii in the near future? I would love to attend your training or workshop. 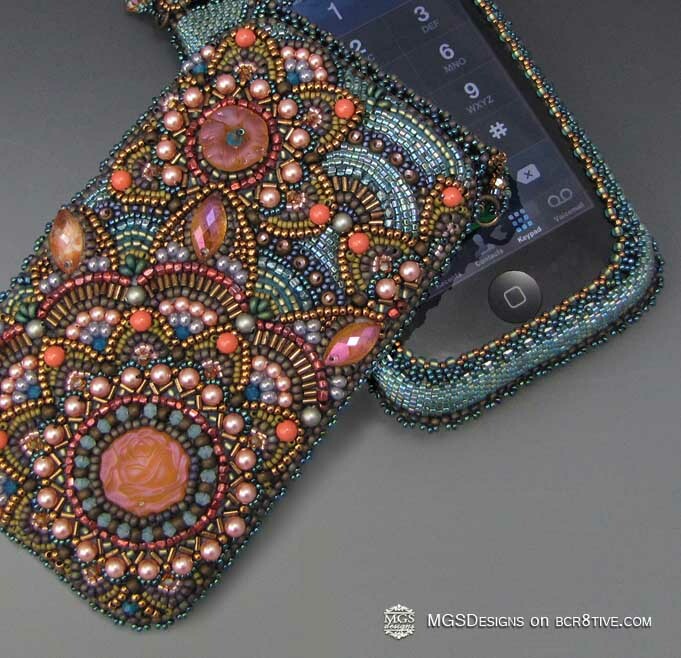 Your beadwork are exquisite. A pleasure to meet you in person today in North Haven, CT- your talent boggles the mind and is a feast for the senses! I have had the pleasure of meeting Melissa and being taught by her in a class, she is an exceptional teacher and a talent beyond words..all of her work is gorgeous!